1. All Contractors are not the same. Here’s how to find Your Home Builder with … Passion! Do not make the largest purchase of your life, without doing your homework. If you are ready to build your dream home, you must invest the time, to learn more about the Home Builders in your area. Before you make a final decision on who will be building your dream home, do your research. As in any industry, not all professionals are the same. 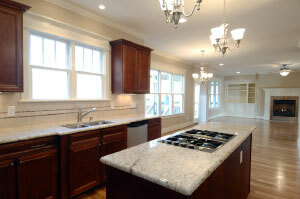 Not all home builders will have the same passion for the project as you do. “Home Builders with Passion” – In every town, there are always a few Home Builders that are so passionate about their craft, that every home they build is a “Work of Art”. Their attention to detail, and continuous learning of new real estate construction ideas, ensure that they will always be at the top of their industry. 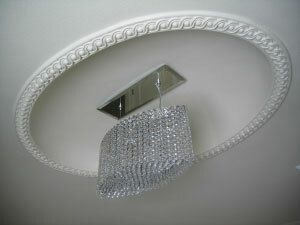 Every home of theirs is a “Signature Piece”, reflecting the values of their company. When you first meet a “Home Builder with Passion”, you will notice their charm, and keen listening skills. They are very similar to a great doctor. Their focus will be entirely on listening to the patient, or you the home buyer. They will have many questions, which will help them diagnose or determine your needs. Once they understand your needs and desires… Hang On. They will begin a presentation of ideas and possibilities that will astound you. You will tour some of their previous projects, to see first hand their quality and dramatic ideas. Their passion for their craft, and desire to build the best home each time will take you back. You will sense that they are more, than just a Home Builder. Their love of the Home Building Profession, and the pride they have in their homes will be evident. Now, the hard part, finding a “Home Builder with Passion”. To find your “Home Builder with Passion”, you will have to do your homework. Begin by asking for referrals from friends, subcontractors in the housing industry, Interior Designers, Professional Decorative Artisans, Architects and anyone who has recently built. Look in the Yellow Pages under Home Builders. Also, look in the real estate ads under New Real Estate Developments and New Home Construction. Next, get in the car and take a trip. Drive to some of these new subdivisions and developments. Think of yourself as a Judge in a Parade of Homes. What is unique about each home, that is visually appealing. You are looking for clues in Unique Design and Architecture. 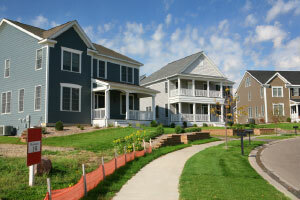 One of the “Secrets to Great Curb Appeal” in a new home, is the importance of “Staggered Visual Lines”. Square boxes are not visually interesting, without another visual dimension added to it. Our eyes and our emotion, love to focus on… Curves, Angles, Depth, Texture, and Color Tones. Take detailed notes on which style is appealing and why? Note the names of each builder. If there are workers on the job site, get out and talk to them. Who do they think is a Home Builder with Passion in your area? They love to share their thoughts. The best “Out of the Box” idea would be to bring along some donuts or snacks. A couple dozen donuts is pretty cheap, and can earn you a lot of goodwill, opening up conversations on Home Builders in your area. Note – Be sure to pick a time when they are on break or eating. Next, pick up the phone, call to set up an appointment to meet with a number of Home Builders. Remember, great Home Builders are waiting for your call. They love to talk about what they do. When you meet with the Home Builder, listen to their story. How are they different from the other Home Builders in the area? What is unique about their company? Ask about the materials they use. What are some of their favorite floor plans, and why? Ask to view some of their previous homes. How do they capture trends from around the world and New Home Building Construction Ideas? Do they travel to other cities? Do they attend “National Home Builders Conventions”, where many new products and new construction ideas are introduced to Home Builders, Architects and Interior Designers? Also, what were some of their biggest Home Building mistakes? This is an important question, to get a sense of their humility. What are they doing different now and why? Again, you are looking for someone who can listen and incorporate … your needs. They must have Unique Home Design Ideas, and have a reputation in the community for building quality homes. The interview process will be a large investment of your time. Do not rush this step! You want to meet a number of Home Builders in your area. Sometimes, after a few meetings, you will begin to sense, who should build your dream home. Your homework is beginning to payoff! Important – do not make your decision on the lowest bid. Almost anyone can make various cuts to lower their final estimate. Pricing is important, but do not be fooled by the lowest bid. You are looking for Quality Construction, Dramatic Ideas, and… Value. Rapport is so important in the building process. You will be working together for the next 4 to 18 months, so it is important to partner with someone that can address your needs and concerns. You will soon begin to notice that, “Home Builders with Passion”, are usually the most charming too. Their ability to balance your enthusiasm for the perfect home and the realities of building are what make them so unusual. Finally, coordinating the details of a real estate construction project is not an easy task. New design changes and problems can arise everyday. How these issues are handled, can determine the final effect of the project. Remember, when you are choosing the builder for your Dream Home, always work with a “Home Builder with Passion”. If you are saving money on your lot today, you will have to pass this savings on tomorrow. The Number One Rule is … go heavy on you lot purchase. This is Critical! Rarely, will you find a good deal on a lot. Great location comes at a price. If you are talking to a Home Builder who is promoting one of their lots, make sure you have done your homework and thoroughly analyzed the other available building lots in the area. Do not make your decision based on price alone. Look at the other homes that are in or will be built near your location. Are they in the same price range? Are there water issues in the area? What are the current and future traffic patterns? What is the surrounding zoning? What direction does the lot face? What are the current and future schools? Location truly is everything. This is one of those decisions in life, when you cannot make a mistake. Always, go heavy on your lot investment; you will never regret this decision. Creating drama is much easier when building a home from the ground up. Within your building plan, you must design and designate some areas of unique opportunities. This is where you will be able to create the drama in you home. You do not necessarily have to spend a lot of money here, but you must think this process through. 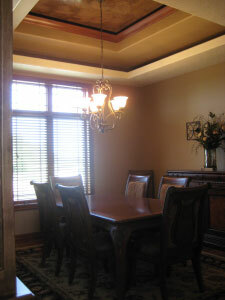 The additional investment for a Tray Ceiling, Niche, Barrel Ceiling, Dome Ceiling, Unique Drywall Spaces, Dramatic Dining Room, or Grand Columned Entry Way, are minimal for what they can add to the total market value of your home. Straight walls are easy to build, but difficult to design around. You need to create separations and angles in rooms and unique areas. 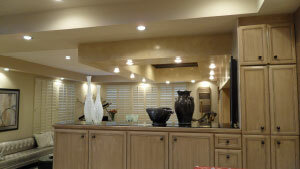 Example, a Kitchen Nook Wall or Kitchen to Family Room Wall could be Bumped in or out a few inches. This will give you an opportunity, now or in the future, to separate the colors or texture on the wall. Visually this area will be dramatically more interesting. 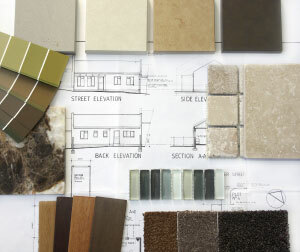 Bring your Interior Designer and Professional Decorative Artisan together when you are drafting your floor plan. Their experience from previous projects and gift for great design, can offer you a collection of ideas to introduce in your home. This additional step can ensure that you do not miss out on small and simple creative opportunities in the designing stage. Custom floor plans are the Pinnacle of Home Building, but make sure that your dream home is marketable in the future. We have all seen floor plans that were not as well thought out, as they should have been. If the floor plan for your dream home is truly unique, I would strongly encourage that you discuss your project with an Architect. They have the vision, to view a project from a perspective that is beyond what we can see. Your project is too important not to go the extra mile, to get a second opinion from an Architect. Your floor plan must flow naturally, create opportunities for drama, and be marketable. An Architect can see where there are potential problem areas, discover additional areas of opportunity, and suggest options that you may not have considered. 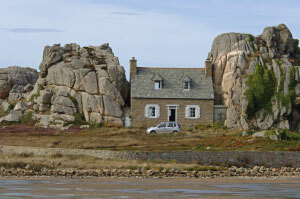 Take advantage of their valuable insight and ideas, when you are drawing up your dream home. 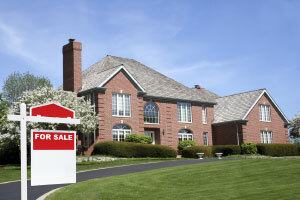 Finally, someday, maybe sooner than you think, you will be selling your home. Could you sell your home tomorrow? Are there sufficient bedrooms for a variety of family sizes? 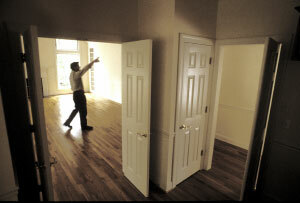 What is it about your home that will generate Home Buyer’s knocking at your door? 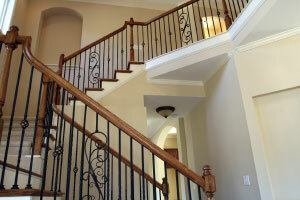 Take the additional step to discuss your Home Plans and Home Design with an Architect. 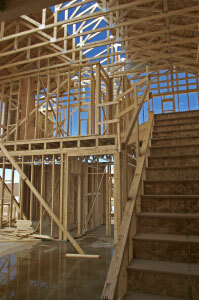 The added assurance they can bring to your Home Building Project will be well worth the time and any additional cost. Once you have agreed on your floor plan, and have drafted your unique spaces or opportunities for drama, the next step is … Interior Design. On a Presentation Board, Concept Board or Mood Board, you will coordinate all of the layers of your Interior Design Project. This can be overwhelming at times. 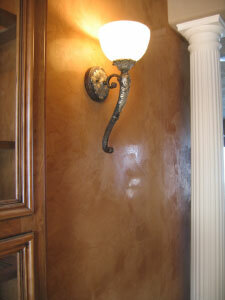 They will include your wall colors, wall and ceiling texture, style of carpet, unique Faux finishes, Italian Venetian Plaster, or Wall Paper. Your choices will include, type of ceiling and drywall finish, knock down style, crows feet, orange peel or a Level 5 smooth finish. 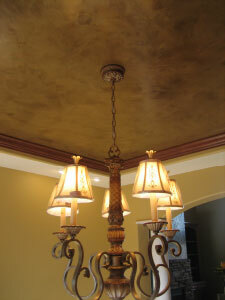 Your ceiling options can range from texture to an Italian Venetian Plaster, Tin Ceiling or a unique Italian Finish, layering a patina metallo effect. 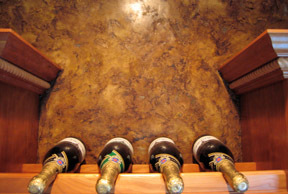 Your selection of flooring, tile, marble or wood floor, choice of wood, style of doors, wood trim, lighting decisions, style of fixtures, kitchen cabinets, bathroom cabinets, counter top styles, granite or marble. All of these decisions are difficult. But more importantly, all of these design elements must flow congruently, to create a dramatic effect throughout your home. Sometimes this can become overwhelming. Your Home Builder can help you with many of these decisions, but keep in mind, most Home Builders do not have a background in Interior Design. 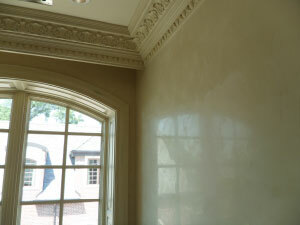 I would strongly encourage you to discuss your project with an Interior Designer or a Professional Decorative Artisan. Ask around for names and referrals. Everybody loves to share, when they have had a great experience working with a Designer or Artisan. Share your project with them, ask them about some of their previous work and discuss their fees. 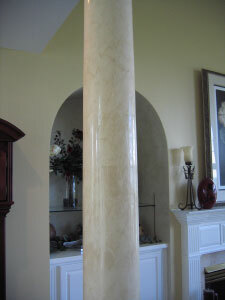 Most people do not think they can afford an Interior Designer or a Professional Decorative Artisan, this is not true. Fees can vary from nothing, to an hourly fee or a percentage. One final thought; make sure that the final effect is a collaborative decision, and one that you truly love. If you are not comfortable with an idea, then keep looking for other options. This is not the time to hold your opinion. Share your thoughts about the direction of the Interior Design Project. The best results are when all members of your design team, Home Owner, Home Builder, Interior Designer, Architect and Professional Decorative Artist are involved in this fun, yet challenging Interior Design process. This has to be high on the list of regrets for many homeowners. It is so hard to visualize all of the areas where you will have future electrical needs. During the holidays it may be a receptacle on the stair landing, front porch, or separate breakers for outside lighting. Important – go through the seasons, reviewing how all areas of your home will be used. Will a bedroom someday become a future office? Garage receptacle locations, separate light switch for outside holiday lights, entry way outlets, deck or outside activities, TV/Internet locations, Plasma TV wall outlets, ceiling speakers, (note – the speaker you don’t put in will be the one you regret) outside deck speakers, correct location for main audio equipment, present and future wiring for speakers in your current and future media rooms. 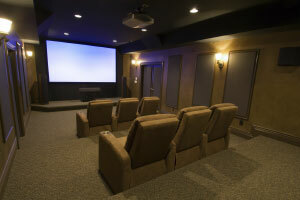 Like many of us, who are serous about their media room, I would strongly encourage you to discuss your project with a Home Theater Specialist. Their expertise will ensure that your media room is ready for the present and future systems that are not on the market yet. Another thing to keep in mind, is the importance of lighting. When you are staging a room to create a functional and dramatic effect, this must be well thought out. There are so many lighting options available today, whether it is a wall sconce, rope lighting in a tray ceiling, unique puck lighting or shadow lighting an area, which is being staged, before a room of opportunity. These are not quick decisions to make, you must do your homework. 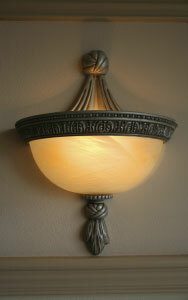 Discuss the various lighting options available with your supplier of lighting fixtures. Also meet with your Home Builder, Interior Design, Architect, Electrical Contractor and if, you are fortunate, a talented lighting specialist in your area. Important – Unfortunately, many times during the home building process, you will feel like you are being rushed through the various stages. Lighting decisions are one of those steps where you need to do your homework. 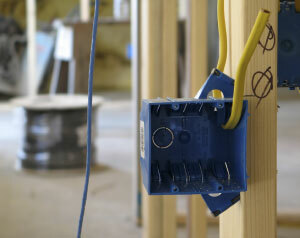 If you invest the time, you will be well prepared when you get the phone call to meet with your Electrical Contractor. Everything in the Home Building Construction process will revolve around the target budget you have in place for your new home. But almost everyday, you will be confronted with new cost overrun decisions. Some of these can be challenging to make. Determine which items are high priority and which are low on your wish list. Everything is more expensive in the future, after you have built. Keep in mind these words … Drama, Effect, and Staging. If you truly wish for your home, not to be like every other home in your area, then you must designate some of your budget for “The Wow Effect”. The opportunities that you have drafted and designed into your floor plan will not create the dramatic effect, if you have not provided a budget to fund them. We have all gone through the annual Home Builders Parade of Homes, and waited in line for the 1 or 2 homes, that truly understand “The Wow Factor”. It is hard to describe its effect. It will stop you in your tracks. You will stop and stare, trying to absorb what you are seeing. All senses are kicking in. Conversations can be heard around you. 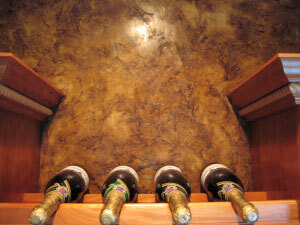 “You have to see the Wine Cellar, what was that on the walls? 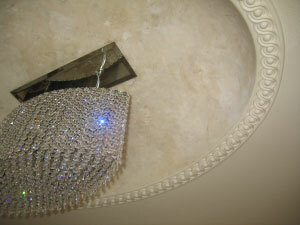 The very best Home Builders and Interior Designers will try to include a room that will take your breath away. It is bold, but not brash. It can change your taste in an instant. You may be standing in front of something new that was not on your color palette before. Many of your likes and dislikes are falling by the wayside. The “Wow Factor” has now pushed you out of your comfort zone. Where do you go from here? Many times when we find something new that we love, we are hesitant to ask questions. Unfortunately, most of us will not risk, or invest the time to learn more about it. But some… will not hesitate. Some will take the first step to learn more. Grab a cup of coffee and invest some time contacting the Home Builders, Interior Designers, and Professional Decorative Artisan on these “Wow Projects”. Meet with them and share your ideas about your Home Building Project. This will be an important investment of your time. The best in their professionals are sometimes challenging to meet with. Their schedules are always busy, but stay with it. Your passion for your Home Building project will come through in your conversation, which will impress upon them your desire to create a dramatic project. Building “Your Dream Home” is a lifetime goal for most families. They will save for many years before they can finally achieve this dream. But a word of caution, the Home Building process can also be very stressful. Ask anyone who has every built before, they will echo this sentiment. 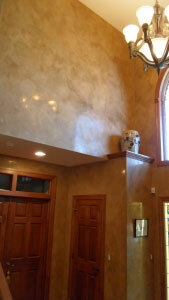 Almost everyday, you will be asked to make long term and sometimes critical, home design decisions. Your emotions can run the gambit, from highs to lows, as couples try to negotiate the many Home Building options. 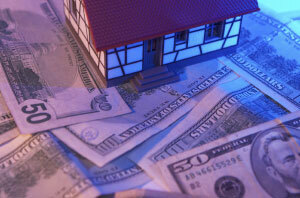 “As a couple, if you cannot agree on a Home Building Decision, then wait on the decision. Sleep on it that night. The next day, begin to look for a better idea. You will not be as emotionally charged, and together, you will come up with a much better solution. “When emotions are high and each side has dug in, you will be glad you have discussed this rule. This will give you a reason, to set aside a difficult Home Building decision, preventing it from becoming a much bigger issue than it really is. Trust me … It Works! Finally, study your floor plan all the time. Carry it with you and try to visualize all of the activities in your new home. There are so many opportunities that you will miss, if you do not … “Live In Your Floor Plan”. Your new house is in constant motion. Your opportunities for any change in design are… very brief. One last thing, always keep your eyes open for new Interior Design ideas and possibilities. Talk with your Home Builder, Interior Designers, Professional Faux Finishers or Decorative Artists and Friends, discussing your project. Always listen to the ideas and experiences other people have had building. You may not use all of them, but the few ideas you do use, may help to ensure that your dream home is well on the way to creating … “The Wow Effect”. The “New Home Building Process” is a great experience. Take lots of pictures with family in the background. You will never forget the memories, the lessons, the laughs, and the new friendships you have made in this exciting chapter of your life. Enjoy this … Fun Walk!